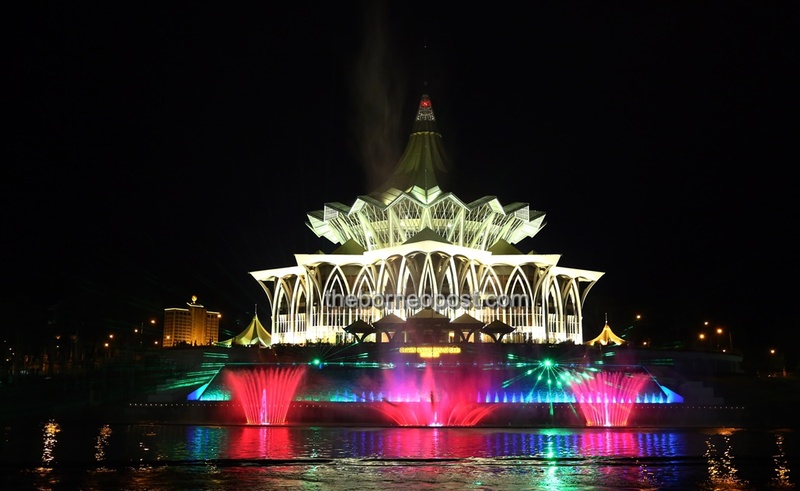 KUCHING: The Darul Hana Musical Fountain project has been done properly at any rate and no one should politicise it, said Minister in the Chief Minister’s Office (Integrity and Ombudsman) Datuk Talib Zulpilip. “Well, it has been done properly. And the audit is done to confirm it has been done properly. “So there shouldn’t be any issue and people should not make political issue out of it,” he said when met by journalists after launching the Premier Walkabout Programme held in connection with the World Anti-Corruption Day 2018 today. Early this month, Pending assemblywoman Violet Yong termed the Sarawak government’s failure to disclose the Schedule of Rates and Bill of Quantities pertaining to the RM31 million project as unusual. She said she had requested the Sarawak government to furnish her with the related documents on the project last month. She added that there was no reason for the Sarawak government not to disclose those documents if the “directly awarded multi-million project to a private consultant was not overpriced” and had complied with all standard implementing procedures. He was quick to point out that he could not be certain whether the social media post was genuine. The Jepak assemblyman opined that those who had shared such negative news on the social media platform “have their own motives”. “Let’s see how it works. The audit is being done. We have replied to them (the opposition),” added Talib. This Darul Hana Musical Fountain issue was brought up by Yong during the State Legislative Assembly (DUN) sitting last month when Talib already said the project was implemented using ‘design and build’ and complied with the Standard Operating Procedure of Kuching North City Commission and Regulations 221 Part VII Local Authorities Financial Regulations 1997. Talib said the project cost was tabled and gone through Special Cost Committee chaired by the State Financial Secretary. He added that the contract scope comprised two years maintenance cost and five years design guarantee.